After a third bizarre incident in two years, New Canaan Police this month issued a total of $483 in tickets to a local woman who has repeatedly asserted that she doesn’t believe in the town’s dog leash ordinance, records show. On the morning of Nov. 2, an officer with the department’s Animal Control section responded to a complaint about a woman at Irwin Park with three dogs off-leash, according to a police report. The complainant had explained to the woman that her own dog was aggressive and she feared that if approached by other canines, the animal would attack, the report said. Yet instead of leashing her dogs at the point, the woman told the complainant not to worry, that dogs shouldn’t be on leashes and they only fight because they’re so tethered, it said. 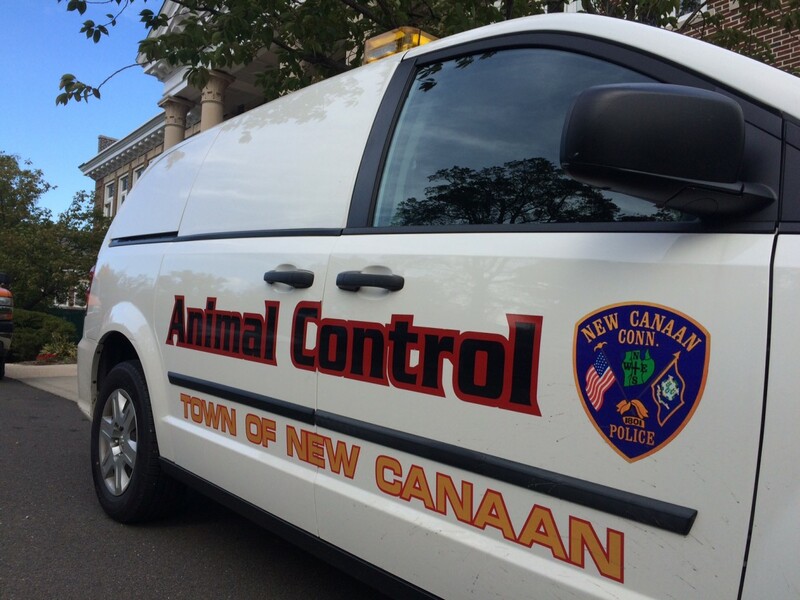 Arriving at Irwin, Animal Control Officer Allyson Halm encountered the subject of the complaint, New Canaan resident Amanda Coulon, according to the report. Owner of two French bulldogs and a chihuahua, Coulon had been cited for off leash dogs in the past—in November 2016 at Waveny Park and then again in September 2017 at Kiwanis. Approached by Halm, Coulon said that when she moved to New Canaan, she never signed anything regarding keeping her dogs on leash and that her dogs were well-behaved and don’t need leashes, according to the incident report. Coulon was fined a total of $90 per dog—it comes to a total of $136 per dog, with state processing fees—for violating the local ordinance, plus $75 because one of her dogs was not licensed. She must plead or pay the total of $483 in fines by Nov. 16. Asked about Coulon’s demeanor, Halm said the woman remains polite in voicing her beliefs about dog behavior. Coulon asked whether she would be ticketed each time she is found to have her dogs off leash, and Halm responded that yes, she would if she’s caught. Halm advised Coulon that the ordinance does not allow some dogs to be off-leash and not others. Halm said police later received a complaint that a woman and three dogs fitting the description of the Coulon gang were off-leash in Irwin Park at dusk. Does she pay the fees in full? She probably walks her dogs off-leash several times a day, but she only “gets caught” once a year. Given these odds, I doubt that she will purchase leashes. If the ordinance is amended to allow the police to impound a dog (or dogs), perhaps after 2 violations, Ms. Coulon might be encouraged to buy leashes.